Preheat oven to 350 degrees F. Grease a 4×8-inch loaf pan. Toast ¼ cup of coconut and set aside. Beat white sugar and butter in a large bowl until light and fluffy. Add eggs, one at a time. Stir juice and zest of one lemon into butter mixture. Mix flour, baking powder and salt in a separate bowl; add to butter mixture alternately with milk, mixing until batter is just incorporated. Fold in coconut, mixing just enough to evenly combine. Pour the batter into loaf pan. Bake until a toothpick inserted into the center comes out clean approximately 60 minutes. Cool in the pan for 10 minutes before removing to cool completely on a wire rack. Gradually stir 2 teaspoons lemon juice into confectioners’ sugar until mixture is thin enough to drizzle. Drizzle mixture evenly over the loaf. 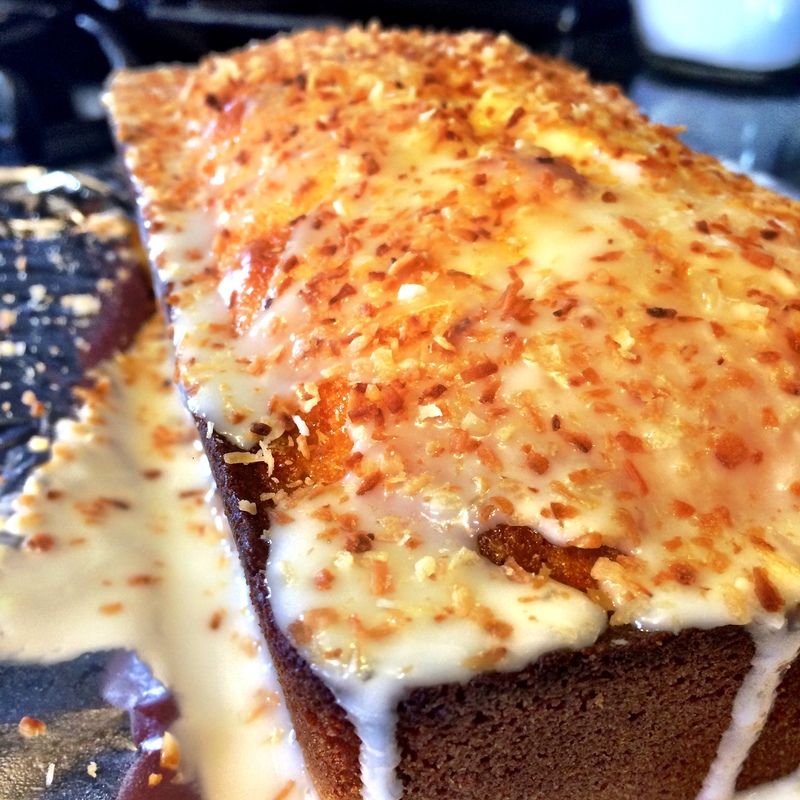 Top with toasted coconut. This recipe originally appeared here, but I altered it.